While shopping at a Kitchener department store with my two-year old son, some years ago, his jeans became caught at the top of the escalator, ripping away a piece of his pants and causing a few minor lacerations to his legs. As would any concerned parent, I felt fortunate that my son was not more seriously injured as a result of what I believed to be a ‘fluke’ accident and I did not report the incident at the time. However, I was wrong on both counts. Escalator accidents and injuries occur more often than you might think and they should always be reported even when injuries are not severe, to ensure that proper maintenance and 'followup' investigation are completed. 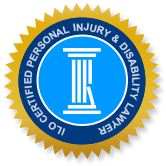 Also, if you are seriously injured in an escalator accident, you are well advised to consult with a personal injury lawyer so that you can be fairly compensated for any losses resulting from injuries caused by an improperly maintained/constructed escalator or another dangerous condition. Although many people feel somewhat uncomfortable and not entirely safe in elevators, it's actually escalators that are far more dangerous for patrons. Injuries from escalators occur about 18 times as often as injuries from elevator accidents, according to the American Association for Justice, which reports that the number of reported escalator accidents is increasing each year in the United States. In 2013, there were 12,260 escalator-related injuries and deaths reported, and the majority of these accidents happened to children (14 and under) and seniors. In March 2014, the Hamilton Spectator reported that a grandmother was seriously injured in a fall on a possibly malfunctioning escalator at the FirstOntario Centre. The injured woman was taken to Hamilton General Hospital with two broken arms, lacerations on her face, broken teeth and injuries to her eye. It was reported that the grandmother turned around at the top step when her daughter fell, which caused the older woman to subsequently lose her balance and fall down each step on her face. The family was told that the escalator should have stopped but failed to do so when the daughter fell, but the results of the post-accident investigation are unknown. This Hamilton accident is by no means the only recent occurrence. Many serious escalator-related accidents have occurred all over the world, and are certainly not limited to locations or countries where you may be unsurprised to hear tales of maintenance or design failures or short-cuts. In China, for example, there have been numerous catastrophic escalator accidents in recent years, one of which occurred in July 2015 and allegedly resulted when a maintenance worked failed to screw an access plate back in place after completing maintenance at a department store escalator. This tragic accident involved a 31-year-old mother who threw her two-year-old boy to safety as she fell through the access plate, resulting in her death. In January 2014, CBC News reported the death of a 48-year-old Montreal woman in January 2014, when her scarf and hair became caught in the escalator mechanism at a Montreal subway. As a result, the woman was strangled by her scarf and her head was cut by escalator’s teeth before it finally stopped. CBC reports that Montreal’s transit authority, STM, supplied information to the coroner’s office revealing that the escalator where the accident occurred was regularly inspected and maintained, and four other incidents involving falls or caught clothing had happened in since the previous year. In November 2006, eight people were taken to hospital after they were injured in a Toronto escalator accident at Union Station. Most of the injured persons suffered only cuts and bruises; however, one injured person suffered a severe spinal injury. Patrons of the elevator reported that the injuries occurred when the escalator seemingly malfunctioned, jerked suddenly, and caused riders to fall. One person fell near the top and knocked others down in a chain reaction. In a November 9th report to CBC News on the Toronto escalator accident, an Ontario Technical Standards and Safety Authority (TSSA) spokesman said that in 2005, there were 476 incidents of escalator-related accidents reported, six of which resulted in serious injury. Falls are the most frequent cause of escalator injuries and deaths. Entrapment-related injuries are less common, but also sometimes occur. Proving liability can sometimes be challenging in the case of falls because escalator manufacturers, maintenance companies and building owners often argue that horsing around or other inappropriate or reckless behaviour on the part of the injured person is the cause of their fall and subsequent injury. However, many instances of escalator-related accidents happen to innocent victims who were not negligent in any way. But even in the case of accidents resulting from human error or carelessness, safe escalator design that foresees the types of injuries that may occur should reduce or eliminate serious injuries or death in many cases. For example, falls over the side of an escalator into atriums or open spaces should be largely avoidable with a proper design including adequate side barriers, regardless whether they happened to an innocent victim or someone who behaved improperly or recklessly. In cases where there were flaws in the escalator design or construction that contributed to someone’s injuries, the accident victim may file a product liability suit against the manufacturer. On the other hand, if injuries result from improper or flawed building maintenance, failures in inspection or other unsafe conditions, the property/building owner or escalator maintenance contractor may be held responsible for failing to keep visitors to their property safe, under the Occupiers’ Liability Act. If you or a family member were injured in an escalator-related accident or another accident on a premises, likely resulting from a manufacturer’s or property owner’s negligence, call the highly respected lawyers at Hamilton personal injury lawyers. Our knowledgeable lawyers are happy to meet with you in a free no-obligation consultation to discuss the facts of your case and advise you on whether you have a strong case for seeking compensation as well as your best options moving forward.